Michele’s request for a Julie London Christmas album hits a snag. She never did one. 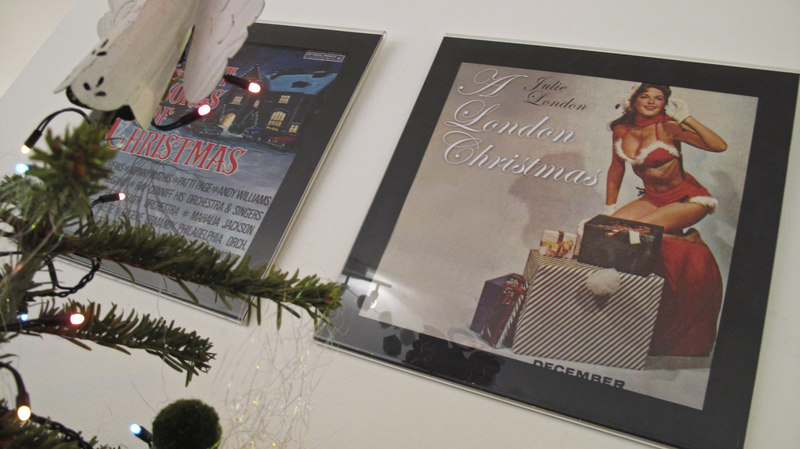 But with a little internetting and some Indesign, Julie’s Miss December (from her album, Calender Girl) becomes a fully-fledged seasonal treat. Michael Gray on Bobby Darin: “Bobby Darin’s singles were part of my adolescence, and all these decades later I’m still impressed by his work, the multiplicity of his talent and his human decency. He was a songwriter, singer, actor, pianist, guitarist and mentor to RogerMcGuinn; he conquered the pop charts and then dinner-jacket showbiz, yet came to see that turbulent times called for songs of social conscience. As a person he was gracious, articulate, sharp and funny. He was a talented actor, nominated for an Academy Award for Best Supporting Actor in 1963. Lovely, and true. Check the version of “Lonesome Whistle Blues”. In a week where I watched Mumford & Sons and The Old Crow Medicine Show’s self-regarding documentary, Big Easy Express, (loosely inspired by Festival Express), the ability to inhabit a Hank Williams song is not to be sneezed at. Darin’s really there, the young pretenders not even in the same State. 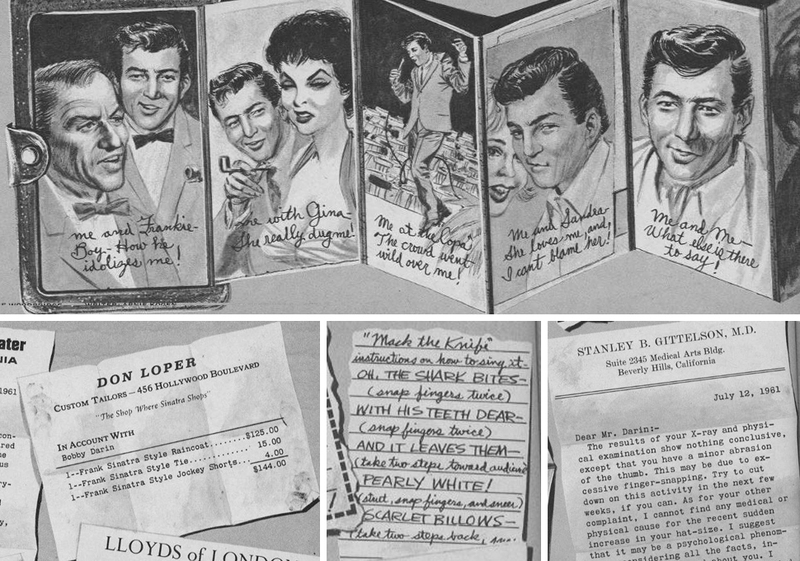 Somewhere I have this issue, but found what I was looking for on BobbyDarin.net: “In Oct. 1961, the pop culture magazine Mad introduced a feature entitled “Celebrities Wallets.” It was drawn by George Woodbridge and written by Arnie Kogen. The Magazine stated “With this article, MAD introduces a new feature, based on the proposition that you can tell an awful lot about a person by the scraps of paper and cards and bills and photographs and money he carries around in his wallet. Since we are all basically nosey, we thought it would be exciting to see what famous people carried around in their wallets. So we sent out a special research team to pick some famous pockets…”. Bobby Darin was their first subject. Well, that’s a hundred posts reached. Whew! All best to every one of you reading, and have a sterling seasonal sojourn. Back, in some form, in 2014.